This genetic problem is caused by mutation of the FMR1 gene. In this genetic mutation the X chromosome becomes highly susceptible to damage. Folic acid causes the most damage to the X chromosome if the individual has Fragile X Syndrome. This is what causes the disabilities which the patients with the syndrome display. Due to genetic differences the Fragile X Syndrome is more common in men and is more severe in men as well. The syndrome can be passed on if the mother has the genetic mutation but if the father has the genetic mutation it is passed on only to daughters. The Fragile X Syndrome has mental and physical effects on individuals. Delayed speech and linguistic development is a symptom of the syndrome. Most men with the syndrome might have mild to moderate intellectual disability. Anxiety and hyperactive behavior like excessive fidgeting or impulsive actions are seen in children with the Fragile X Syndrome. Seizures can also occur. Patients with the Fragile X Syndrome might have other mental disorders like ADHD and Autism. Most men with Fragile X Syndrome have characteristic physical features, which become more apparent with age. Features like a long and narrow face, large ears, a prominent jaw and forehead, unusually flexible fingers, flat feet, enlarged testicles (macroorchidism) after puberty are a few things that are caused by Fragile X Syndrome. Adequate and specialized therapy by certified therapists. Proper and right education that the patient can understand and that can help them lead a more normalized life. Awareness must be spread among those who interact with the patient. This can prevent ostracization of the patient. Support from family members can make a big difference as well. 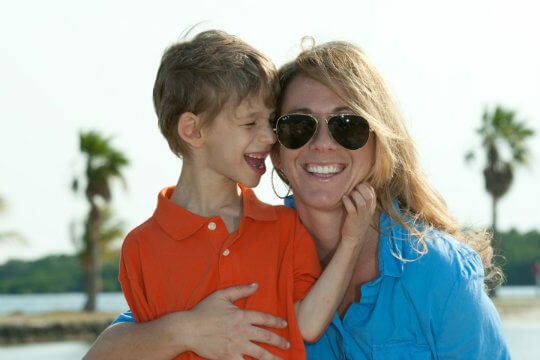 Without the love and support of family members those with Fragile X Syndrome might never be able to lead a normal life. So, the best ways by which Fragile X Syndrome can be treated are through understanding, education, love and compassion.